*Free lessons (and free skate rental) but an RSVP is required. Limited to 50 people per session. Please note that the tickets for 11/11 are already sold out. Don’t know how to skate? 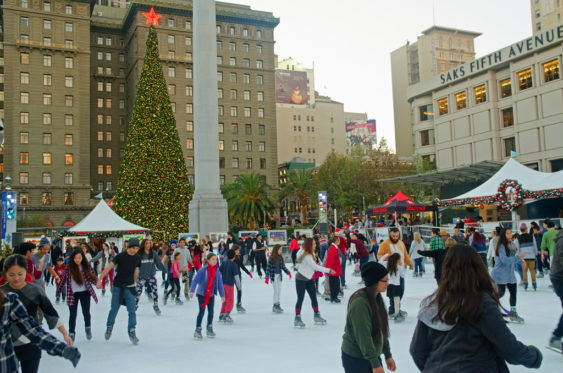 Kaiser Permanente is inviting beginner skaters to the Safeway Holiday Ice Rink in Union Square presented by Alaska Airlines to come learn from professional skate instructors every weekend. 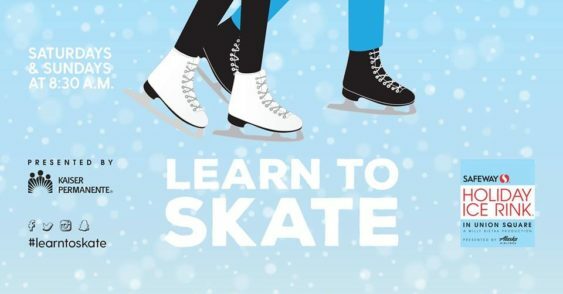 Lessons are free (including skate rental) to those who sign up in advance, thanks to Kaiser Permanente. Signups are limited to 50 participants per session. Available for ages 3 to 300, lessons will take place every Saturday and Sunday morning from 8:30 to 9:30 am throughout the season. How Can I Reserve Tickets? Reservations for next classes will be released one week in advance. Please note that these spots are very limited and often book up far in advance. Advance sign-up required. Space is limited to 50 participants per day. Please provide skate size, name, email address, phone number and experience level.